This understated and Sleek Curio Will be an inspiration. Try putting a pair in the corners of a dining room for symmetry and high impact. Or place one in a teenageriis room to corral their mementos. 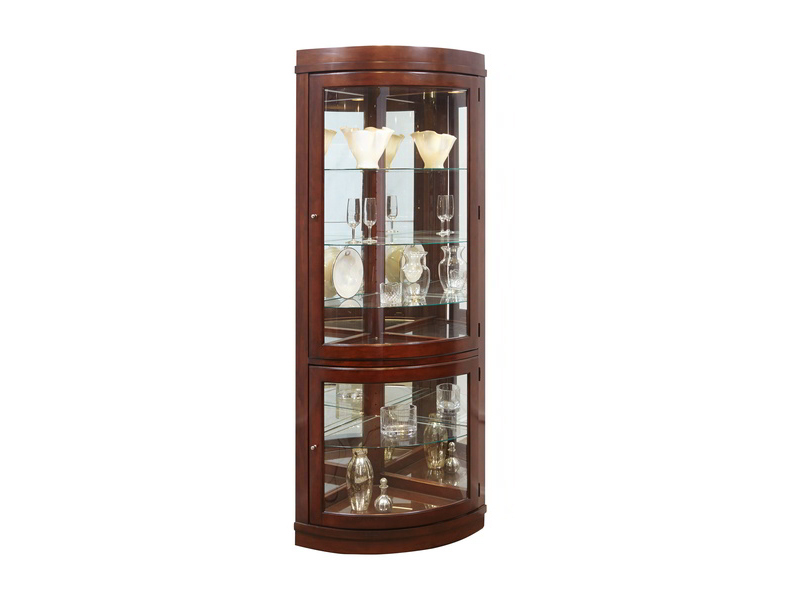 This round-front modern Curio is built in select hardwood solids and veneers with a deep Chocolate Cherry finish. It features two doors, a mirrored back, halogen lighting, adjustable glass shelves, and adjustable glides for leveling. Our Curio can display a lot in just 23 inches of wall space.